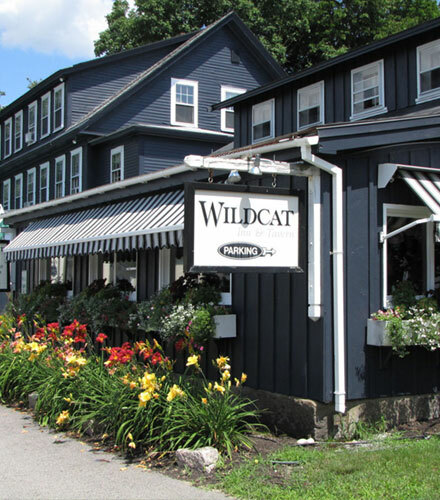 Wildcat Inn and Tavern Lodging in Jackson New Hampshire in a classic Country Inn with its own tavern has never been more fun. Dining, dancing, downhill skiing, cross country skiing, golf, fine dining, cozy accommodations, great specials, and packages are yours at the rollicking and romantic Wildcat Inn & Tavern in the heart of the White Mountains. With North Conway shopping minutes away, Black Mountain, Jackson Ski Touring, Attitash, Great Glen Trails, the Wildcat Ski area and Wentworth Golf Club right around the corner you’ll never be bored. Bring your friends, bring your family, even your dog is welcome. We’re looking forward to your next visit. After all…you just might find that the Wildcat Inn and Tavern is perfect for you.